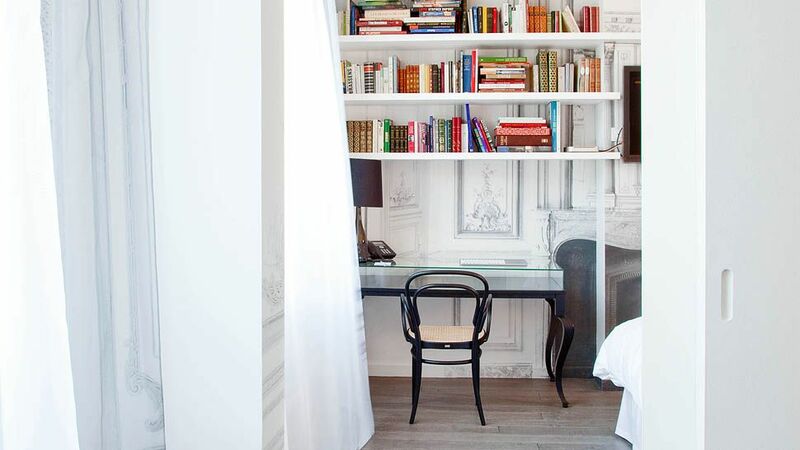 A playfully chic Paris hotel between Avenue Montaigne and the Grand Palais for around $200USD per night? Some might say you are dreaming, I say you've stumbled upon the dreamy La Maison Champs Élysées. The opulence of Paris is all there: gilded staircases, marble floors and terrace dining. But La Maison has a bit more fun with the usual visit to the City of Light by featuring trompe-l'œil in lieu of authentic boiserie - just one of many cheeky elements in their classical-meets-avant-garde design. Frankly, if you can get to Paris and score a room at this fabulous boutique hotel you'd be a fool not to do so. You'll have the option of an opulent suite (part of their Couture Collection) or a more contemporary (read: less pricey) Boutique Collection suites. All of these have been designed by fashion designer Martin Margiela. What to expect? Sophisticated details with a twist of irony. Luxe finishes juxtaposed with trendy details. 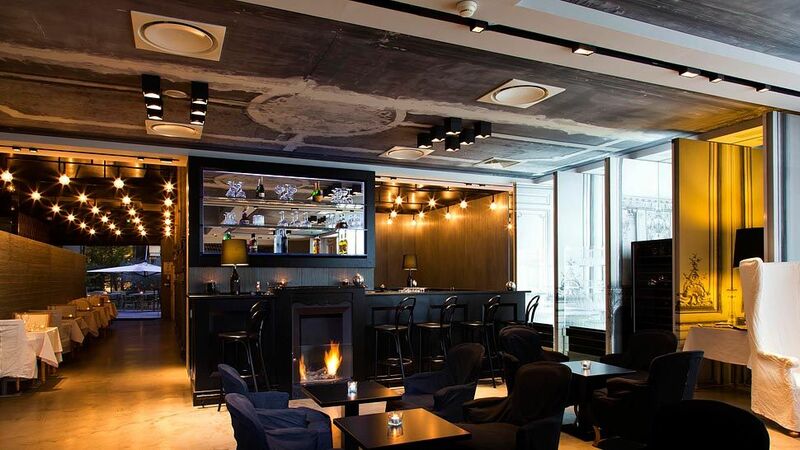 It's the high-low mix of street style applied to an exquisite boutique hotel. Explore this lovely hotel here and enjoy your stay in the center of this magical city. Can't get away? I have some fun things for you below.. including wallpaper to give you the illusion of that coveted French paneling. Enjoy!